(a) An individual in the interstate or intrastate carrier industry who operates a truck, tractor, or truck tractor trailer licensed by a governmental motor vehicle regulatory agency may be an employee or an independent contractor under this Article dependent upon the application of the common law test for determining employment status. Any principal contractor, intermediate contractor, or subcontractor, irrespective of whether such contractor regularly employs three or more employees, who contracts with an individual in the interstate or intrastate carrier industry who operates a truck, tractor, or truck tractor trailer licensed by the United States Department of Transportation and who has not secured the payment of compensation in the manner provided for employers set forth in G.S. 97-93 for himself personally and for his employees and subcontractors, if any, shall be liable as an employer under this Article for the payment of compensation and other benefits on account of the injury or death of the independent contractor and his employees or subcontractors due to an accident arising out of and in the course of the performance of the work covered by such contract. (b) Notwithstanding subsection (a) of this section, a principal contractor, intermediate contractor, or subcontractor shall not be liable as an employer under this Article for the payment of compensation on account of the injury or death of the independent contractor if the principal contractor, intermediate contractor, or subcontractor (i) contracts with an independent contractor who is an individual licensed by the United States Department of Transportation and (ii) the independent contractor personally is operating the vehicle solely pursuant to that license. (c) The principal contractor, intermediate contractor, or subcontractor may insure any and all of his independent contractors and their employees or subcontractors in a blanket policy, and when insured, the independent contractors, subcontractors, and employees will be entitled to compensation benefits under the blanket policy. A principal contractor, intermediate contractor, or subcontractor may include in the governing contract with an independent contractor in the interstate or intrastate carrier industry who operates a truck, tractor, or truck tractor trailer licensed by a governmental motor vehicle regulatory agency an agreement for the independent contractor to reimburse the cost of covering that independent contractor under the principal contractor’s, intermediate contractor’s, or subcontractor’s coverage of his business. Now, let’s unpack that a little bit. First, the NC workers’ compensation rules for truck drivers apply to interstate and intrastate trucking operations involving the use of trucks or tractor trailers licensed by the United States Department of Transportation (USDOT). Trucks that are not required to be licensed by the USDOT are not covered by these special rules but are subject to basic North Carolina workers’ compensation law. The general rule for trucks that are required to be licensed by the USDOT is that workers’ compensation liability follows the US Department of Transportation number. So if a business in the trucking industry contracts with a trucker, often an owner-operator, and that trucker has not secured workers’ compensation coverage, then the contractor is liable for any workers’ compensation injuries suffered by the trucker, the trucker’s employees and the trucker’s own subcontractors. This “up-the-chain” liability applies even if the subcontractor is an independent contractor. So while a truck driver can be an independent contractor or an employee depending on the facts of the case, for purposes of determining who is responsible for paying an injured trucker’s workers’ compensation benefits it may not make much difference. The person or company that holds the operating authority issued by the USDOT is generally responsible for being sure there is workers’ compensation coverage on the driver of the truck. Note that the liability extends beyond the subcontractor to the subcontractor’s employees and subcontractors. Up-the-chain liability does not apply to a contract with an owner-operator who at the time of the injury is operating his or her own truck pursuant to his or her own USDOT operating authority. This “mom and pop” exception allows owner/operators driving their own truck with their own USDOT number to go uninsured for workers’ compensation risks. 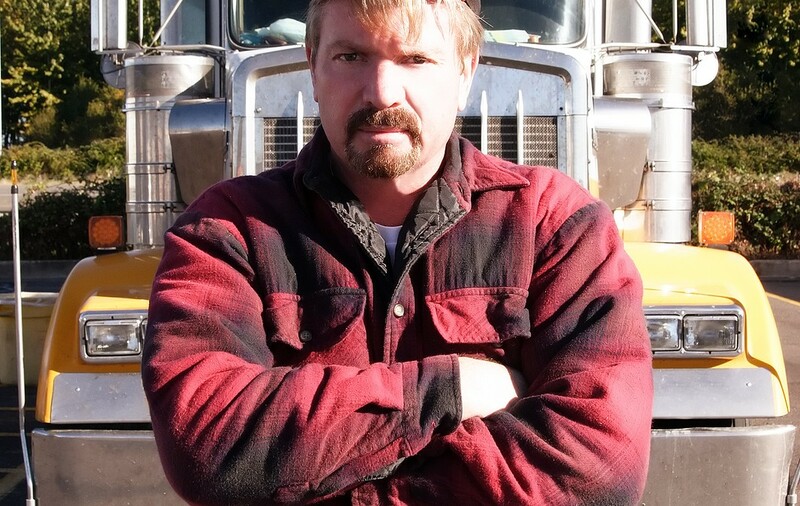 A trucking contractor can protect himself from up-the-chain liability by: 1) ensuring that any independent contractor have workers’ compensation coverage in place covering the contractor, his or her employees and his or her subcontractors; or 2) by insuring any subcontractor and their employees and subcontractors on a blanket workers’ compensation policy. Note that, unlike the law dealing with contractors and subcontractors outside the trucking context, it is not good enough to just obtain a certificate of insurance from the subcontractor. The coverage must in fact be in place for there to be protection provided to the contractor. A trucking contractor, unlike other employers and contractors, may by agreement withhold from his subcontractor’s payment an amount sufficient to reimburse the contractor for purchasing a blanket workers’ compensation policy. Truck drivers should carefully consider their employment arrangements when they are hired. Experienced trucking operations are adept at creating arrangements intended to avoid or shift the risk of workers’ compensation injuries. When they are hired, truck drivers will often be presented with documents creating complex lease, lease to own, ownership, or independent contractor relationships. This can make it difficult for drivers to determine who is responsible for providing workers’ compensation coverage. Drivers are also frequently required to purchase “occupation accident insurance.” This insurance mimics workers’ compensation by paying medical and disability benefits for a limited time after an on the job accident. These polices however are for a limited duration and lack the protections offered by the North Carolina Workers’ Compensation Act. Please call or email if you have questions about the NC workers’ compensation rules for truck drivers. Kevin Bunn is a Raleigh area NC workers’ comp attorney, and a Board Certified Expert in North Carolina Workers’ Compensation law.